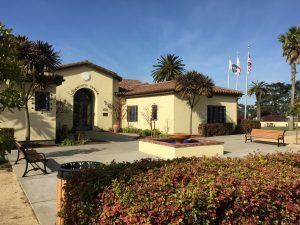 The Colma Community Center, located at 1520 Hillside Boulevard is available to host receptions, parties, reunions and events accommodating up to 150 people. 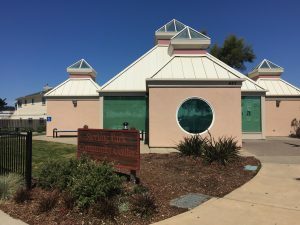 The Colma Community Center has a commercial kitchen, banquet room with adjoining outdoor decks, conference room, restrooms, TV/VCR, and tables and chairs. Sterling Park Recreation Center, located at 427 F Street is available to host small receptions, parties and events accommodating up to 50 people. The Sterling Park Recreation Center has a reception area, small kitchenette, restrooms, TV, and tables and chairs. The Picnic area with BBQ pit at the Sterling Park Recreation Center is also available to rent for small picnics of up to 12-15 people. If the picnic area has not been rented, it is available for use on a first come first served basis. 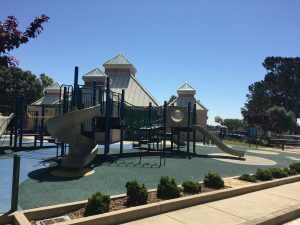 Sterling Park also features a half court basketball court, bocce ball court, playground, restrooms and grass area for games and activities. For more information on renting the Colma Community Center and the Sterling Park Recreation Center please see our Rental Policies and Procedures and download our rental forms from the icons below. For additional information and to check available dates please call (650) 985-5678 or (650) 991-3213. The Colma Historical Park, located at 1500 – 1506 Hillside Boulevard, features the Colma Historical Museum, Train Depot, Freight Building and Blacksmith Shop, along with picnic tables and grass area. The picnic tables are available on a first come first served basis and are not available for rent. For more information on the Colma Historical Museum, please contact the Colma Historical Association at (650) 757-1676 or http://www.colmahistory.org. The Town of Colma’s Dog Park, known as the Bark Park, is located on the west end of D Street off Clark Avenue in Colma. The fully enclosed park is 39 feet by 90 feet and is great for small to medium size dogs. The park features a water station, gravel track and grass area. For additional information on the Bark Park please call (650) 985-5678 or elect on the icon below to view the Bark Park Rules.